Is The Institute For Clinical and Economic Review (ICER) Quietly Becoming the ‘Death Panel’ We’ve Long Feared? Our recommendations about the use of new medicines, medical technologies and diagnostics identify the most clinically- and cost-effective treatments available. We work openly and transparently with the pharmaceutical and medical technology industries to evaluate their products, facilitating access to the NHS market for those products which are found to offer the best value for patients, and making a clear case for their adoption in the NHS…. The recommendations and decisions that NICE makes involve value judgements. We are committed to ensuring that the judgements we make reflect the values of society. Our Citizens Council – an advisory body made up entirely of members of the public from across the UK – helps NICE understand the views of the public and incorporate them into the decision-making process. NICE is, of course, the independent agency in the UK that is recommending against (read: blocking) patient access to Orkambi through the NHS. Now over here in the States, the ACA, as we know, never included any ‘death panel’ agency, and God willing, we will never have a State agency that decides which medications are worth it and which aren’t. The Institute for Clinical and Economic Review (ICER), however, is starting to fulfill that role. CVS Caremark [a pharmacy benefit manager] plans to allow its clients — such as health plans and employers — to exclude from their formularies any new medicine that has a higher price than a specific threshold for determining value…Specifically, the pharmacy benefit manager set a threshold of $100,000 per QALY, or quality-of-life years, a benchmark that measures both the quantity and quality of life generated by providing a treatment or some other health care intervention. In the U.S., anywhere from $50,000 to $150,000 is used for gauging value, although $100,000 is commonly used as a threshold…The pharmacy benefit manager will be looking to the Institute for Clinical and Economic Review, a nonprofit that runs cost-effective analyses, for guidance. Worth noting, is that this current policy change excludes medications that receive a breakthrough designation. Most medications that we use in CF have a breakthrough designation attached to them. The precedent still remains, however. CVS Caremark’s decision to arbitrarily use $100,000 per QALY as a benchmark for coverage based on ICER analyses takes power away from the people who actually make medical decisions… we call those people doctors. Let’s be clear, ICER is a body that should not have power over patients, yet it seems to be usurping the power of prescription pad a little more each day. If this very visible example of a barrier to medications isn’t enough of a cause for concern, let’s explore a few more. First, there’s an inherent conflict of interest here, especially if we look at CVS Caremark’s new benchmark. At first it may not seem obvious, so let’s do a little digging. PBM’s (like CVS Caremark) get payouts from Insurers by virtue of being the middleman of the whole scheme. Think about anytime you have to go through OptumRx, Express Scripts or something of the like. Who pays them? This is what’s happening…Insurance companies support an independent body whose purpose is to analyze the social economic impact of a medication. Independent body places value on a patient’s life (QALY). PBM uses said independent body’s analyses to institute cost benchmark on medications. Insurer pays PBM as middleman to procure X medication. Patient gets X medication, which must cost less than aforementioned benchmark. Tell me that’s not a conflict of interest. Cystic Fibrosis Foundation utilized their innovative financing model, Venture Philanthropy, as the initial investment into the CFTR Modulators. (For more info about Venture Philanthropy, our guest columnist, Amy, very eloquently described its mechanism in this week’s Drug Development Wednesday post). 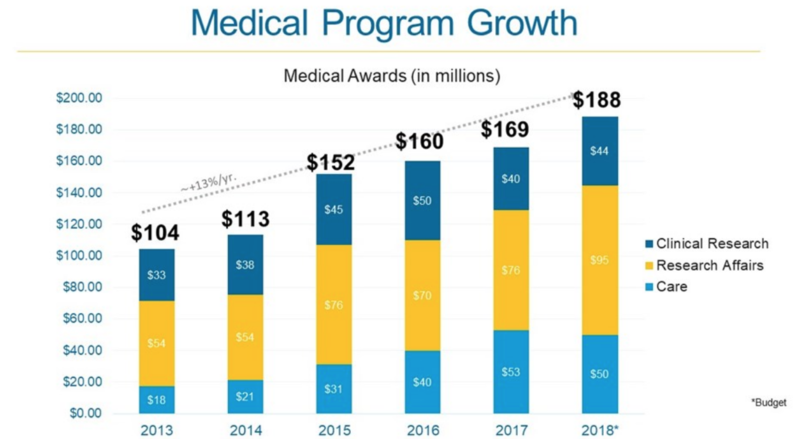 By virtue of Cystic Fibrosis Foundation acting as a venture capitalist instead of a traditional non-profit, CFF was due royalties from future drug sales on the successful investment. CFF, with some incredible foresight in 2014 (or maybe to distance themselves from a future drug pricing debate? ), sold their rights to those future royalties to Royalty Pharma for $3.3 billion. Cystic Fibrosis Foundation has turned around and begun investing some of that money (and I’d even argue they aren’t spending enough, but that’s for another time) into other biotechs with the hope of not only discovering future medications, but also hitting the Venture Philanthropy jackpot AGAIN. It could be argued that Cystic Fibrosis Foundation, and it’s $3.3 billion windfall, has what it needs to make cystic fibrosis an otherwise livable condition without the need for future private donations. Could (this is a very big “could”) CFF use its investment models to wipe CF from the face of the earth using their existing enormous resources? I think so. Just look at CFF’s increasing investment into research over the past few years – notice the jump after the Royalty Pharma deal. This is an unparalleled story of success. So how does this relate to ICER, the endless onslaught of downward pressure for drug prices and the above-mentioned barrier to accessing medications? CFF could be on the hook for a nasty lawsuit from Royalty Pharma for a portion (large or small) of the $3.3 billion payout if we force drug prices to come down, thus making the drug royalties less valuable than they were when CFF sold them. …And that, folks, would be a huge problem. 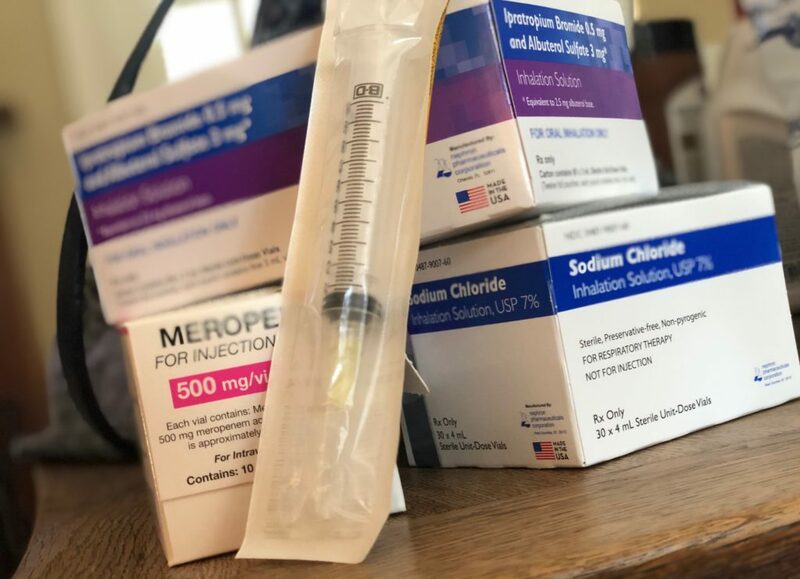 Seemingly every article or news story that discusses drug prices within cystic fibrosis FAILS to mention that little (read: very big) fact, while groups like ICER and Patients For Affordable Drugs continue to neglect the FUTURE of cystic fibrosis. So yes, ICER is acting as a ‘death panel’ when they place benchmarks on the cost effectiveness of medications, while simultaneously jeopardizing the sustainability of the cystic fibrosis drug development pipeline. My long-term survival (and the long term survival of your son, daughter, husband, wife, uncle, aunt, brother, or sister), as a patient, is DEPENDENT on these biotechs staying in cystic fibrosis and developing novel medications, therapies and devices. They must see the value of developing drugs for us. Cystic Fibrosis Foundation provides that value through past experience. It cannot escape us. For the reasons explained above, we MUST not let ICER continue down its current path to becoming a self-proclaimed death panel social conscious for the healthcare industry. Some food for thought… Why would some of the leading cystic fibrosis organizations – CFF, CFRI, BEF – dispute the ICER’s cystic fibrosis analysis?